The Illinois Senate passed SB2273 which will protect Illinois voter data by pulling state voter data out of the national Crosscheck program. The final vote broke down along party lines 35-17 with 3 Republicans abstaining. The bill will now head to the House where Representative Ann Williams will be the bill’s chief sponsor. “This is fantastic news. It’s heartening to see our legislators move so quickly to protect voters’ privacy. It’s unfortunate that this broke down along a party-line vote at a time when the vulnerability of our voter data and concerns about identity theft have never been clearer; however, we’re hopeful that we’ll see more bipartisan support in the House.”, said Steve Held, one of the leaders of the Indivisible Chicago team fighting for data privacy protections and voter rights. 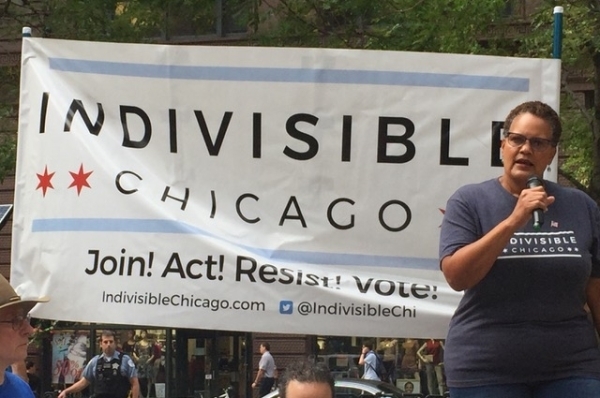 Indivisible Chicago thanks the initial bill sponsors Senators Kwame Raoul and Bill Cunningham, as well as those who have joined as co-sponsors for moving so quickly on this issue.